Established in 1916, Multi-Color Corporation has grown to become one of the world’s largest and most awarded label printers. Our purpose is to deliver the world's best label solutions to help customers build their brands, and to add value to our associates, shareholders, and the communities in which we operate. The Multi-Color team is dedicated to quality and focused on customer service, thereby providing a great platform for labeling and packaging success. Visit our website to learn more about Multi-Color and our full range of product offerings. Multi-Color continues to supply the wine and spirit industries with high quality embellished Self Adhesive labels. We are the driving force behind many of the breakthroughs in premium label production. We print on a comprehensive range of coated and textured papers, clear films, recycled and recyclable papers, all using a range of adhesives to suit different applications. Our Wet Glue expertise is based on over a century of printing heritage. Processes include multi-color Offset, Hot Foil Stamping, Metallic Varnishes, Grain, Embossing and Protective Coatings on a range of Coated, Uncoated and Metallic papers and boards. We offer digitally printed wine labels via an experienced digital wine label printing service team. Feel secure in the knowledge that your account manager and graphics preparer will have each managed thousands of Digital wine label print projects. You can count on this high level of experience to help ensure your project's success. Additionally, you can select from a full range of embellishments and decorative options for your label. MCC Accepting the Grand Award plus 10 Golds, 6 Silvers and a Bronze Award at the 2016 VMA Awards. Don’t believe that statistics? Check out this infographic. Smart packaging is getting increased attention from wine and spirits producers because of the customization and real-time features it offers. Want to remotely change promotions without the cost of reprinting packaging? Or track the movement and handling of each bottle from warehouse to end consumer? This and so much more is possible with smart packaging. Traditional packaging translates to needing new packaging every time a promotion is created, updated or changed. The cost of reprinting, shipping, and aging out dated inventory racks up quickly. Additionally, most of the data related to the product after it leaves your facility must be retrieved from retailers. As a result, brands have less control and slower response times to valuable data. Smart packaging resolves these issues by providing real-time promotion management, data control and analytics, personalization for every single product, and direct communication with the end-customer. How is it possible? Smart packaging includes the use of augmented reality (AR) and/or Near Field Communication (NFC) antenna technology to collect data and create memorable experiences for your customers. Not only is the technology a great benefit to your company behind the scenes, but it also serves as a method to engage end consumers and get them talking about your brand. You don't want to miss our new AR/NFC experience at Unified, Booth #513! The 2019 Unified Symposium will be held January 29-31 (exhibits January 30-31) at the Sacramento Convention Center. Visit our booth #513 to view an MCC and Talkin' Things exclusive AR/NFC experience. Plus, learn about premium folded cartons, shrink sleeves, and more! Our team will be there to answer questions and go over the latest innovations. View more articles on the Print Sanity Blog. Ex Post Facto is a legal term regarding the changing of a law or regulation after the fact. This name encapsulates winemaker Greg Brewer pushing beyond the focused Sta. Rita Hills Burgundian Brewer-Clifton paradigm that he has established over the last 20 years, to work on a new Rhone project from Santa Barbara County. The label for this project was inspired by the keys of an old Remington portable typewriter Greg’s mother used for the legal cases she was working on while he was growing up. Selecting a stock for your label is an important decision – it is the canvas for your graphics and the foundation for all the embellishments you choose. If you flip through a stock book or look at papers online, it can be overwhelming due to the number of choices available. To help provide some clarity, read on to learn about different types of stocks. First, the terms stocks, papers, and substrates can be used interchangeably. So, if you are talking to your printer or researching online, keep in mind they are generally referring to the same thing. However, when discussing pressure sensitive materials, “stock” usually refers to the combination of a substrate laminated to a liner, with the addition of an adhesive and release layer in between. While stocks differ by adhesive and liner type, this article will only focus on the paper itself. Uncoated paper is similar to the printer paper in your copier. While it is still coated with special products to aid in the adherence of inks and foils, it does not have an extra smooth coating or finishing that adds a high sheen or glossiness. Since uncoated paper has a matte look, it is good for designs seeking a rich, rustic appearance, with a lot of text or fine type. Uncoated papers vary from semi-smooth to very aggressive with pre-applied texture from the paper mill. Uncoated textured papers are known by common names such as Felt, Linen, and Eggshell. Non-textured examples include Estate #8, Classic Crest Solar White, and Royal White. Unique papers have special finishes and are made from non-traditional materials like wood veneers, velvet cloth and fabric. Unique papers are a great way to make your label pop and engage customers with a distinctive look. For example, Cherry and Birch Wood are made from exceptionally thin slices of real trees and therefore every inch is different – so no two labels look exactly alike. Furthermore, if you are looking for a shimmery stock, look no further than Sparkling Asti, Frozen Orion Diamond, or White Pearl – all with iridescent, reflective properties. Coated and glossy papers have a smooth, non-textured finish. Glossy papers are best suited for designs with colorful images or artistic scenes. Compare to printing home photos – do the images look better on matte copy paper or thick glossy photo paper? A similar logic applies to label designs. Coated and glossy papers are also great for products like olive oil or cosmetics because the label can repel liquids better than uncoated stocks. Examples of glossy papers include Premium High Gloss, Cast Gloss, and Semi-Gloss. Examples of coated matte papers include 60# Matte and Matte Litho. Film stocks are smooth, shiny, and hold up well to moisture. Films come in clear, white and metallized and are aptly named Clear BOPP, White BOPP, and Metallized BOPP. There is also a FasClear option for optimal clarity. Clear film can be used in a variety of innovative ways such as letting the contents of the bottle show through the design, creating a screen-printed look, or having floating graphics. Wish you had a resource for your label and printing questions? The Print Sanity blog is designed with brand owners in mind to make label projects more effective, enjoyable, and hassle free. From printing technologies to decorative capabilities, shrink sleeves to pressure sensitive labels, our blog articles are created in response to customer’s frequently asked questions and concerns. So, if you are looking for answers or inspiration start reading. Have a label topic you’d like to read more about? Send questions and suggestions to info.napa@mcclabel.com. Results are in from the 2018 TLMI Awards Competition! Multi-Color Napa won 5 first place and 4 second place awards, plus Best in Show at the 41st Annual TLMI Awards Competition. The TLMI Annual Awards Competition recognizes the best package printing in offset, letterpress, flexography, multi-process and digital printing. With entry submissions up 25% from the previous year, taking home ten awards was a big accomplishment for the MCC Napa team. A big thank you to the brands and companies we partner with to create world’s best label solutions. To view examples of our printed work, check out our website and label portfolios. Don’t miss the 2018 packagePRINTING Excellence award winners! The annual packagePRINTING Excellence Awards highlights the most innovative and creative work from all types of packaging – folding cartons, flexible, and labels. Winners from each category are selected by experienced industry judges that identify which submissions stand out from the rest. A big thank you to our team that continues to keep quality and innovation a priority, while maintaining sustainable practices company wide. Also, a special shout out to MCC Canada for a first-place award and MCC Adelaide for taking home ten packagePRINTING Excellence awards. Well done! To learn more about incorporating innovative techniques into your label, read our blog or check out the embellishments page on our website. We are always excited to help clients with their label projects and create future award winners. Thermochromic ink changes color when exposed to different temperatures. It is used by brands as a visual cue to let customers know when a product is hot or cold. For example, the Hertelendy Chardonnay pictured has a crest that turns purple when the wine is chilled and ready to drink, and it's colorless when the wine is not cold. The temperature at which the thermochromic ink changes can be customized to give customers a visual cue of when their wine or beer is at the perfect degree. Colors for thermochromic ink range from colorless to red, blue, orange, pink, and more. For questions about available color options or samples, contact our team today or visit our website. NEW in Digital Printing, HP Indigo Silver ElectroInk! New at MCC and exclusive to HP Indigo digital printing, HP Silver ElectroInk is a mid-brilliance ink ideal for label designs that require subtle metallic elements instead of bright foils. The base color of the silver ink is similar to Pantone 877 and printed via our HP Indigo 6800 press. This new metallic ink opens an endless palette of metallic colors that can be created by printing another layer of ink over the HP Silver ElectroInk. Whether you are looking for a shimmery pink for a Rosé or a metallic red for a Cabernet, HP Silver ElectroInk complements a variety of designs. You can preview HP Silver ElectroInk on your design with digitally printed production proofs. Simply send us your art files and select what colors and areas you want to preview with silver ink. We can also provide variations of colors, so you can select the best look for your label before printing the full production run. For more information, visit our website or contact a team member today. Multi-Color Napa now offers premium folding cartons! Our sheet-fed printing platform produces folding cartons that can be embellished with hot-foil stamping, multi-level embossing, and spot varnishes; thereby, providing customers with more decorative options for their folded packaging. Additionally, graphics can be printed on both the outside and inside of the finished cartons allowing more space for brand messaging and product information. MCC Napa's premium folding cartons are best suited for brand owners looking to elevate and differentiate their brand’s packaging. Brands and products that require small, highly embellished folding containers – such as cosmetics, gourmet food, and cannabis – are a great fit for the decorative capabilities our printing team can offer. View examples here. The County of Napa awarded Multi-Color Napa with the JD Fullner Recycling Leadership Award to honor our waste reduction and recycling efforts. Award recipients included community members that successfully made waste diversion an integral part of their operations. Through our internal recycle audits, establishment of the Sustainability Committee, dedicated waste sorting, and introduction of composting, we demonstrated a strong commitment to green initiatives. Check out the photo below to see our recognition from Congressman Mike Thompson, Senator Bill Dodd, and Assembly Member Cecilia Aguiar-Curry. Learn more about Multi-Color Napa’s sustainable initiatives on our website. 3.Group the same size labels together on one order. This may be difficult – since the alcohol or blends may not be confirmed early enough to order labels in advance – but when possible, grouping labels of the same size and paper together on one order will significantly reduce costs. 4. It’s better to over-order than under-order labels. While it is good to be environmentally conscious and order as precisely as possible, it is troubling when a customer tells us they didn’t order enough labels and need to run a few hundred more. Going back to press with a small label run can be extremelycostly and requires more set up material to be used. While we can’t foresee every situation that arises, it doesn’t hurt to have extra labels on hand. Extras can always be used for marketing, case labels, or applied to gift bags in your tasting room. To learn more helpful tips and label industry tricks, visit our Print Sanity Blog. If you want to can wine but don’t want to invest in printed cans or shrink sleeves, consider pressure sensitive label (PSL) wraps as an option. Though not as common as shrink sleeves or printed cans, PSLs are an effective method for labeling canned wine with wrap around graphics. Choose from our entire selection of textured papers, metallic substrates, and films. Since cans are often chilled or submerged in ice, we recommend selecting a wet strength stock that will keep your label intact when exposed to damp environments. For example, a water barrier paper like Killer White Water-Tight™24 maintains the structure and appearance of a label even after 24 hours in an ice-bucket. Emboss, foil stamping, spot gloss, and different varnishes can all be applied to PSLs for cans. This is especially beneficial for small quantity orders that would cost significantly more if similar decorative elements were added to shrink sleeves. It may be easier to go with a labeling option you are familiar with instead of learning a new technology. Shrink sleeve technology has different design precautions, printing techniques, finishing specifications, and application requirements. Therefore, PSLs for cans would be a good choice for clients that do not want to invest the time to learn about shrink sleeves. While PSLs for cans provide wrap around graphics, there is a gap between the lip of the can and the top of the label that shows the aluminum. Shrink sleeves cover the entire can for a more fluid look by providing a top-to-bottom, 360° canvas for designs. Depending on the look you are trying to achieve for your canned wine, shrink sleeves may be a better option for brand messaging and POS content. PSL wraps for cans are coated with a protective varnish to reduce scuffing. However, shrink sleeves have better scuff protection than PSLs because ink is reverse printed underneath the film. As a result, ink does not come in direct contact with as many external factors from canning line to shelf. As quantities increase, shrink sleeves are usually more cost effective than PSLs. Application speeds are also faster for shrink sleeves and can be combined with the filling and capping process of canning for added efficiencies and potential savings. PSL wraps are a great option for small producers getting into canned wine or for customers that are not interested in learning about shrink sleeve technology. Though, shrink sleeves may be a better long-term strategy if you plan on expanding more product lines into the canned wine market. Results are in for the 2018 Premier Print Awards! Multi-Color Napa earned top honors at the Printing Industries of America 2018 Premier Print Awards competition! The Premier Print Awards competition recognizes printed submissions from around the world and identifies the best quality pieces across various print categories. Printed pieces that display excellence are distinguished by Awards of Recognition, Certificates of Merit, and Benny Statues – the most elite award. These awards mean a lot to our team because they validate our dedication to quality and innovation. We enjoy working with customers to create world class labels and look forward to producing more award winners. Thank you to our customers, printing team, and account representatives that helped make these awards possible! View our label portfolios here. As people go outside to enjoy summer activities, the demand rises for portable, outdoor friendly wine containers. Wine in a can has become popular among consumers and continues to take up more shelf space in stores, with both large and small brands adding canned wine to their product lines. Customers interested in 360° graphics on canned wine have two labeling options: printed cans or shrink sleeves. As a California Green Certified label printer, we understand the importance of renewable energy and responsible waste disposal. Through Marin Clean Energy, Multi-Color Napa is guaranteed that at least 50% of energy supplied to our facility is from renewable sources. Did you know, 55% of Multi-Color Napa’s energy comes from renewable resources? We continue to look for opportunities to increase our involvement in sustainable efforts and encourage other companies to participate! Label questions? Contact us or visit our website! To learn more about resin seals, contact us today or visit our website. As brands evolve and the marketplace changes, wineries are tasked with developing new designs and rebranding. Creating a new look may seem like a challenge, but incorporating label proofing during design development can make the process easier. Label proofing allows you to view your graphics beforeyou commit to the full production run – allowing you to take the surprise and stress out of designing. Multi-Color offers multiple options for trial printing your graphics, including: a printed production proof, Stella directional proof, and full run proof. A printed production proof is created using a HP Indigo Digital printing press. Your label design is printed on the actual stock you’ve selected for your order, so you can see what the colors will look like on that paper. Production proofs are 12” x 17”, enabling you to include multiple items and show variations of color on the same press proof. After production proofs are printed, they are varnished and mailed to the requested recipients. This is an especially useful tool if you have a team of people in different locations working on the same project. Note: production proofs do not show embellishments (i.e. foil, emboss, high build, etc.). Stella (directional label proofing) is a great tool if you are trialing different embellishment options to enhance the look of your label. Stella proofs can be printed on a wide variety of label materials, including paper, film and wood substrates. The high-quality proofs can incorporate decorative foils, embossing and debossing, as well as simulated textures. Additionally, no tooling or dies have to be purchased to create the embellished elements. Therefore, you don’t have to invest in tools before deciding on the best design for your brand. If the first two options don’t set your mind at ease, we can print a full run proof of your label on press using the actual tools that will be used for the final production run. A full run proof would show all embellishments and match your finishing specs (so you can test on a bottling line, if desired). A full run proof is a good fit for high-volume, high-profile labels where all guesswork needs to be eliminated. Note: This option requires you to purchase the tooling needed to create embellishments. If you are still deciding what you want foiled or embossed, then a Stella directional proof would be ideal instead of a full run proof. To learn more about label proofing, costs, and timelines, contact a representative today or visit our website! Personalized packaging comes in many forms: serial numbering, limited edition graphics, variable images, marketing codes, brand security coding, and more. These features are created using variable data printing. Variable data printing is made possible by Digital print technology, since digital presses view each art file individually and as a unique graphic. Virtually any part of your label design can be enhanced with variable data. For example, some brand owners use variable images for the same varietal to create eye-catching point-of-sale displays (i.e. four different front label graphics for the same Cabernet Sauvignon). 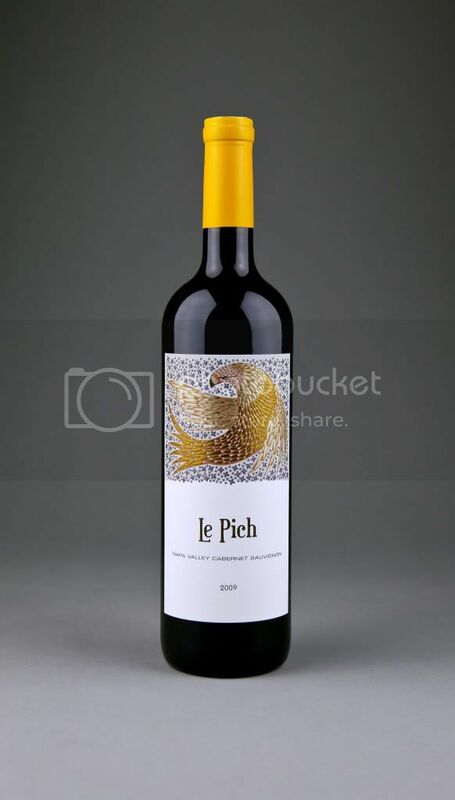 Using different images on the front label allows consumers to select the image that best suits their personality and urges them to collect all the different bottles in a series. The most common use of variable data printing is including the bottle number of the total quantity produced, for example “Bottle 127 of 1,426”. This application creates exclusivity and increases brand value to consumers. No matter how you use it, variable data printing is a great option for personalizing or regionalizing your products. To discuss more ways to incorporate variable data printing into your design, contact an account manager today or visit our website. Multi-Color Napa is now certified as a Bay Area Green Business! The certification, made possible by a company wide effort to reduce, reuse, and recycle, involved implementing green initiatives throughout the facility, both in production and office spaces. In addition to meeting environmental compliance requirements, we continue to prevent pollution and conserve resources to maintain our qualification as a Bay Area Green Business. Since July of 2017, we have diverted 10,000 pounds of compost from the landfill. Our Napa facility has been FSC® certified by the Rainforest Alliance since the spring of 2010. This certification supports our increasing product line of FSC® certified label papers. MCC participates in the Adopt-a-Highway program by keeping a section of Highway 12 clean. Our recycling channels go beyond the collection of paper, glass, and metal. We have designated recycling areas for light-bulbs, e-waste, battery disposal, toner/ink cartridges, steel, and compost. Discover what’s new in label prototyping!Multi-Color is proud to present Stella, an imaging technology that creates fully built-up and die-cut labels – no plate or die purchases required. Direction Label Proofing (Stella) allows you to preview your design before the actual print run. Stella proofs can be printed on a wide variety of label materials, including paper, film and wood substrates. The high-quality proofs can incorporate decorative foils, embossing and debossing, as well as simulated textures. Check out Multi-Color’s label innovations at Unified, booth 515! Meet the Multi-Color team at the Unified Wine and Grape Symposium in Sacramento, CA. We will be at Booth 515 from January 24rd – 25th! Discover what’s new in label prototyping. Multi-Color is proud to present Stella, an imaging technology that creates fully built-up and die-cut labels with foil and embossing embellishments on widely used wine label materials before the full print run. Plus, no plates or dies are required. Considering a shrink sleeve project for your brand? Multi-Color’s team of shrink sleeves experts will help you launch your project. Shrink sleeves are used to decorate cans and bottles of various shapes and sizes. Take advantage of the 360 degree space to communicate your brand’s value to your customers. Design possibilities are limitless and can be finished with gloss or matte varnishes. Are you looking for a way to create a premium look for your packaging? Resin labels enhance the look of your brand and invite tactile engagement from consumers. You can also utilize clear resin labels to create the look of custom glass molds, providing you differentiation, cost efficiency and flexibility with your design. Enhance interest and intrigue in your label by adding a deckled-edge to your label design. A deckled-edge creates a torn look that is offered exclusively at Multi-Color. This finishing option is available on most pressure sensitive paper stocks. Ask a MCC team member for more information at Unified! Ice and condensation don’t stand a chance against the World’s Best 24 hour ice-bucket label solution. Keep your Rose, Sauvignon Blanc and Chardonnay labels intact with KILLER WHITE Water-Tight 24.This exclusive MCC label material delivers the most comprehensive solution to the problem of bubbling and graying that occurs when ordinary wine label papers are immersed in ice buckets. We look forward to seeing you at Unified! Trying to find a happy medium between too much and not enough with your label design? We are here to help! Learn about our Emboss Do’s and Don’ts below. - Emboss common features on your label that won’t change every year, like the brand and logo, so you can use the same emboss dies for multiple SKUs (aka, save money). - Want a unique texture on your label? Use an emboss plate to add texture to a flat stock instead of purchasing a standard textured paper. - Combine embossed and debossed designs to add dimension to your label and make it visually intriguing. - Consider complimenting a blind emboss with printed ink, or emboss with a drop shadow. Talk to your designer and label printer to find out how ink and embellishments can work together to create an outstanding visual. - Avoid embossing vintages or alcohol percentages, unless you are willing to purchase new tooling for every production run. - Don’t add a textured emboss to an already textured stock. Textured stocks have variation, so adding more would result in the different textures fighting one another to stand out. - Too much embossing on a label can cause application issues. The more raised emboss a label has, the less contact it has with the actual bottle. As a result, the label could lift or peel. If your design includes emboss that goes to the edge of the label, ask your printer to feather the edges of the die to avoid application issues. - Beware of adding too many emboss and deboss elements on the same die. Combined emboss/deboss plates do not allow as much control over the depth of the deboss or height of the emboss. You may need to order two dies – one for the deboss and one for the emboss – to create the optimal visual effect. With these Do’s and Don’ts in mind, you are on your way to creating a world class label! Want more helpful tips? Visit our website and stay tuned for more posts! Looking for an innovative label solution or value-engineering for your brand? Visit booth #127 and meet the label experts who can show you how! See you at the WIN Expo Thursday, November 30th! Keeping these 5 things in mind will help you create a great shrink sleeve design for your brand, while avoiding common mistakes. For more information visit http://shrinksleeveprinting.com, or contact one of our shrink sleeve experts today! The easiest way to enhance the look of your labels is to add embellishments. However, when your printer starts talking about foil dies and emboss dies, it is easy to get overwhelmed and concerned about price. 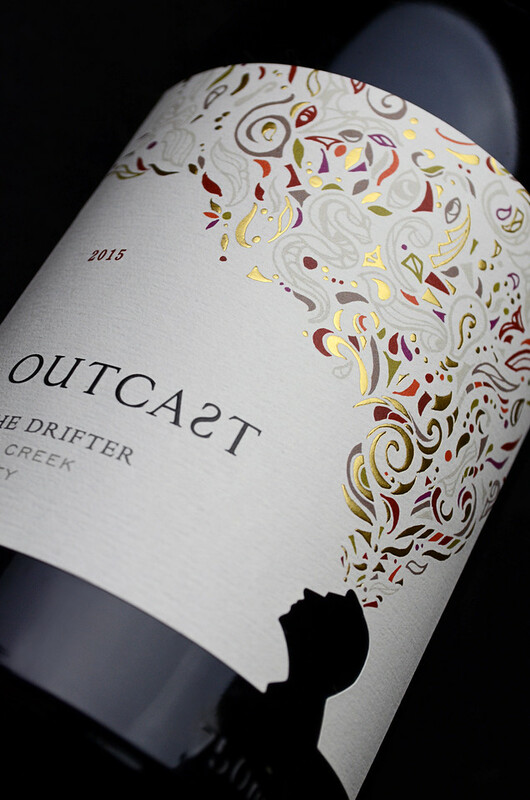 Foil is a great option to add bright elements to your label that demand attention. However, instead of foiling everything on the label, avoid foiling vintages and varietals. By foiling common elements on all of your labels (i.e. the brand name, logo, crest, etc.) you can use the same foil die for every label, and you won’t have to buy new tooling every year. In a world of swiping and typing on smooth surfaces, embossing adds a tangible feel to your labels. Remember, only emboss common elements and skip the details like vintages that change every year, to avoid reoccurring tool charges. Adding gloss elements to your label is one of the most cost-effective decorative options. The gloss sheen against a matte background is an easy way to add contrast and depth to your label. Plus, it can be added over embossed areas for extra impact. Want texture on your label but don’t want to pay for a texture die? Select a stock that already has a texture! Choosing textured stocks like Felt, Linen, and Tweed allows you to save money, without sacrificing the look you want. There are many other embellishment options to choose from, but keeping the tips above in mind can help you enhance the look of your label without “breaking the bank”. Make an impact on the shelf by adding a 3D resin seal to your packaging. The enhanced visual of resin seals will grab attention to your brand, allowing you to standout from competitors. Design options are endless for resin seals. Resins easily allow you to replicate the look of wax or a glass mold. It can be printed on metallic, white, or clear substrates, and can be cut into unique shapes and various sizes. Resin seals are printed using a wide array of colors and can incorporate metallic features. As a result, you are able to create something original and eye-catching for your brand. Compared to glass molds, resin seals provide you with lower start-up costs and lower minimum order requirements. Production time is also faster than glass molds, so you can get your bottles to market faster. Plus, with greater design options and water resistant properties – resin seals are a perfect fit for your brand. Resin seals can be delivered on rolls or sheets, depending on your requirements. They are self-adhesive and affixed to a liner for easy application. Also, they can be applied to labels, glass bottles, boxes, and tissues. Whether you need a hundred or a million, we can help you create the best option to fit your needs. Contact us today or visit us at http://www.mccspiritslabels.com/resin-seals/. Looking for a way to engage customers and stand out on the shelf? At Multi-Color, we offer clients a variety of unique stocks to enhance their brand image and capture attention – some of the substrates are made of materials so unusual, you may have to see to believe. This real wood veneer label material has a smooth surface, with enough texture to demonstrate it is real. The wood grain stock comes in Cheery Wood and Birch. The stock can be foiled and printed on, but it cannot be embossed or debossed. This luxury brand stock replicates the look of leather. It is soft to the touch, with a gloss finish and contains no solvents or heavy metals, making it both sophisticated and sustainable. Velvet stock offers a chic, elevated feel to any design. This stock comes in red, purple, and brown. It can be foiled and embossed for added shelf appeal. Black Vellum is a great option for brands whose designs have a black background. Printing black ink on a white stock can lead to scuffing issues, or a white edge around the label. Thereby, diminishing the look of a sleek onyx design. Using Black Vellum is a way to avoid these problems altogether, since the stock itself is black. Looking for a unique textured stock to set your brand apart? Tweed paper is made of pure cellulose and is embossed off-machine in a textile design. It can be foiled, embossed, debossed, and spot glossed. Enhance your shelf appeal with this bright white, seventy pound stock. With added wet strength, this paper increases resistance to tearing and wrinkling when the label is exposed to moisture. Learn more about our innovative label solutions at http://www.mcclabel.com/napa_sonoma or contact us today, mark.schmick@mcclabel.com. The summer months are here! The heat makes you feel like you are melting, so you (or your customers) grab for that chilled bottle of wine from the ice bucket, only to notice that the label looks like it’s melting too! For many brands, ice-buckets and labels do not mix well together. Ice bucket exposure may cause your label to turn gray and wrinkle, or worse – fall off. You have to keep your wine cold, but by doing so puts your brand image at risk. So, what are you going to do? The answer is Killer White Water-Tight™24 – a Multi-Color exclusive stock that is setting a new standard for ice bucket performance. Killer White Water-Tight™24 will remain white, vibrant, and on the bottle, even after 24 hours in an ice bucket. This is achieved by combining a premium white label paper, a water-tight barrier, and an aggressive white adhesive. Together, these features prevent graying and bubbling. Whether you are at an event or enjoying wine in your back yard with friends, keep your brand image strong and choose Killer White Water-Tight™24. Get more out of your graphics with Shrink Sleeves! Shrink sleeves offer a 360 degree, top to bottom canvas for you to display your graphics and point-of-sale content to customers. Shrink sleeve technology involves printing designs on a film and then shrinking it to fit a variety of containers –including glass, plastic, and metal. Ink is printed under the exposed film so bold, high-impact designs are protected from scuffing – ensuring your designs look great from production to consumer. Shrink sleeves are also a cost effective option for producers who do not want to invest in high quantities of pre-printed cans. Maintain flexibility by printing various designs and prototyping your project with Multi-Color shrink sleeve technology. To learn more, visit our website at http://shrinksleeveprinting.com/, or contact our shrink sleeve expert Perla Soto at perla.soto@mcclabel.com. 24-Hour Ice Bucket Labels at Multi-Color's UW&G Symposium Booth 517!!! The world's best ice bucket label solution just got better! Introducing KILLER WHITE Water-Tight 24, the only wine label paper that looks great in an ice bucket for up to 24 hours. Exclusively offered by MCC, KILLER WHITE Water-Tight 24 delivers the most comprehensive solution to the problem of bubbling and graying that occurs when ordinary wine label papers are immersed in ice buckets. Even at 24 hours in an ice bucket, KILLER WHITE Water-Tight 24 remains white, the printing remains clear and vibrant and it remains on the bottle! Visit our Unified Wine & Grape Symposium booth #517 or contact us at 707-603-2500 for samples and more information on how your wine label can benefit by being printed on KILLER WHITE Water-Tight 24! Multi-Color Corporation Wine & Spirits Division(MCC) earned top honors at the Tag and Label Manufacturers Institute(TLMI) Annual Label Awards, winning four of the seven major categories. Leading the way at the October 18th event was the 2016 Best of Show award for theGirl & Dragon Malbec label, which was also recognized as the 2016 Best of Class: Flexo Wine & Spirits. The Precision Red Wine label, earned the 2016 Best of Class: Digital, while the Hertelendy label earned 2016 Best of Class: Offset Wine & Spirits. The annual TLMI Label Awards showcases printing excellence from around the world. The competition aims to recognize innovative printing and technical achievement. This year’s winners were selected from a field of over 225 entries. To see how MCC Wine & Spirits can apply award winning execution and innovation to your label, visit the MCC booth at this year’s North Coast Wine Industry EXPO on December 1. To view other great MCC labels, visit the Multi-Color BrandNews tab on its WIN Company Profile page. BrandNews features outstanding and cutting-edge label designs from around the world. Contact MCC at 707-603-2500 or www.mcclabel.com before your start your next label project. Multi-Color Wine & Spirits Wins the 2016 PPA Benny Award & VMA Grand Award for Label Printing Excellence! Multi-Color Wine & Spirits was awarded the Benny Award for its reproduction of professional golf pro Cristie Kerr's wine label, Kerr Cellars at the 67th Annual Premier Print Award Competition. The elegant design created by Madeleine Corson Design of San Francisco utilizes a heavy, textured paper and metallic foils to accentuate the uniqueness of the brand image. The label was selected from a field of 3,000 world-wide entries in the June 2016 judging of the Premier Print Awards. The Premier Print Awards, the world's most prestigious international print competition, recognizes the highest quality printed pieces from around the globe. The competition's highest honor is the Benny Award. The Benny is universally recognized as the symbol for excellence in the printing industry. Earlier this Spring, Multi-Color Wine & Spirits earned the Grand Award for its reproduction of the Magna Porcum label in addition to 10 Gold, 6 Silver and 1 Bronze awards for a host of other labels at this year's Visual Media Alliance printing competition. For over 100 years Collotype Labels has been known as The World's Best Premium Label Solutions Provider to the Wine and Spirits markets. This Spring, we at Collotype Labels transitioned our name and logo to our parent company name, Multi-Color Corporation, which celebrates its 100th year of operation this year! By taking on our corporate name, we provide our customers and employees clarity and focus as one global company, while still providing excellent local market expertise to the Wine and Spirits markets that we service today. We remain passionately determined and focused on serving you, our customer with The World's Best Premium Label Solutions. As we look to the future we know from our past that Multi-Color will be celebrating its next 100 years having pushed the innovation boundaries to serve our customers in the best ways possible! We're excitred to again be exhibiting at WiVi Central Coast and would love the opportunity to show you some of our latest innovations! We're excited to again be exhibiting at WIN Expo and would love the opportunity to show you some of our latest innovations! Collotype Labels won numerous awards as part of TLMI's (Tag & Label Manufacturing Institute) 38th Annual Label Awards Competition. 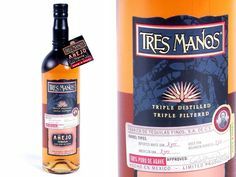 Two stand-outs were the BEST IN CLASS awards for Tres Manos tequila (Digital Wine & Spirits) and Hidden Crush (Offset Wine & Spirits). Collotype Named Best Label Printer in Industry Survey. For the THIRD year in a row, Collotype has been named BEST LABEL SUPPLIER in Vineyard & Winery Management magazine’s survey. This honor is based on responses from over 1,000 industry professionals as part of the the magazine's annual survey. "We are thrilled to have received this recognition for the third strait year", said David Buse, Collotype's President. We have a team that works tirelessly to deliver the worlds best premium label solutions and this honor speaks volumes in our success in doing just that." Visit the Collotype booth and learn more about our new facestock- 'Marble'. It has the durablitly of a film but the look and feel of paper. You'll love what it can do for your packaing! Collotype Labels won Best of Show and Best of Class in the recent TLMI print competition for the Girl & Dragonlabel. Collotype also received Best of Class- Digital for Freakshow and Best of Class - Offset -Wine & Spirits for Pacific Rim Riesling. The competition featured hundreds of entries from around the globe. The Premier Print Award Competition recognizes the highest quality printed pieces in various categories from around the world. Each year, only the most worthy pieces receive Awards of Recognition, Certificates of Merit, and the highest honor—the Benny statue. The Benny has become a universally recognized symbol for excellence in the printing industry and this year, Collotype received a Benny! Please join us May 6-8 at BOOTH #121 at the Craft Beverage Expo held at the San Jose Convention Center. We would love to show you how we provide the World's Best Premium Label Solutions for craft brewers, vintners and distllers around the globe. Collotype wins "Best Label Supplier"
For the second year in a row, Collotype was chosen as Best Label Supplier by Vineyard & Winery Management magazine readers and the industry at large in their recent “Best Wine Industry Suppliers 2014” survey. This honor reinforces the fact that the market recognizes our dedication to providing the world's best premium wine label solutions day in and day out! Collotype Labels, the leading global wine and spirits label supplier, wins top awards in a recent competition. Vineyard & Winery Management readers name Collotype Labels "BEST LABEL PRINTER"
Collotype was chosen as Best Label Supplier by Vineyard & Winery Management magazine readers and the industry at large in their recent “Best Wine Industry Suppliers 2013” survey. "This is an outstanding label on many levels," commented Tony White. "We were extremely impressed not only by the technical excellence of the label, but also by its artistic appearance”. Collotype was also the recipient of other medals for their work, including a Gold for Favia, ensuring their position as worlds most awarded wine label printer. More than 360 labels from 50 converters made this year’s FINAT Label Awards the largest ever. The high quality of the entries made the selection of the eventual winners extremely difficult. The winning labels were presented to members of FINAT, the European label association, during its annual congress. The event was held last week in Giardini Naxos, Sicily. The Best in Show award, as well as the Marketing End Users Group Winner award, went to Collotype Labels USA for its Kenwood Artist Series label. Collotype's entry impressed the judges with its artistic appearance and its technical excellence. “This label was technically excellent with an almost ethereal look replicating the skin tones of the subject with great delicacy,” says Judge Tony White. Collotype’s Wine Find™ is a unique promotional tool that keeps working 24 hours a day! Research shows that over 50% of wine consumption involves a new wine experience. Enjoying new wines is one thing: remembering their details at the next purchase opportunity is another. Wine Find™ solves that problem with its unique removable reminder panel, turning your label into a silent sales person. If you would like to receive BrandNews directly each quarter, CLICK HERE to subscribe.